Charlotte NC - Dilworth envelopes residents and visitors with tree-lined streets, fronting beautiful, architecturally designed homes, many with wrap-around porches and mostly craftsman-style homes. As well, quaint little shops and restaurants are all within walking distance to homes in Dilworth Charlotte NC. Local merchants offer personal attention as well as an ambiance that is simply Dilworth’s trademark. It is difficult to believe that anyone ever considered Dilworth a 'suburb' as they did in the late 1800's. Take a tour and see why Dilworth is the choice among many Uptown young professionals, retirees and families who simply adore the 'neighborhood' feel of Dilworth. *Dilworth residents enjoy Dilworth being home to Freedom Park - the largest park in the county. Architecture, including many craftsman style homes and older bungalows with streetscapes that tell the story of Historic Dilworth, is unique to Dilworth Charlotte NC. Recent revival with renovation of old and new construction have given yet, another, reason to call Dilworth home. Visit www.DiscoverDilworth.com for more information on this lovely historic but, hip community. Let me know how I can assist you - as a seller or a buyer. Give me a call or text at (704) 491-3310 or email CharlotteBroker@icloud.com. There are real estate agents and brokers who will sell you anything but, you want to enlist a seasoned real estate professional for your real estate needs. We would love to share our knowledge of the Charlotte market with you...and give you the grand tour of our beautiful city as well! 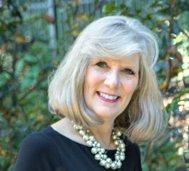 Debe Maxwell, CRS whether someone is looking to buy or sell you are a true professional. I would not hesitate to refer my clients to you. You certainly know the area you live and work in. I would be confident they would be in the best hands with you Debe. I love the photo graphics you have accompanying this market report, Debe. It is sure to be of value to home buyers and sellers in Dilworth. This community sounds like the kind of "Americana" lots of people would enjoy calling home...good snapshot here to show them exactly why ! Wow, Debe. Dilworth sounds amazing. Came over from the April challenge and must say you've got your finger on the pulse of the Dilworth real estate market. I also really enjoyed your video introducing the community - nicely done! Sounds like Dilworth is one of those hidden gems of a place to live. What a picture perfect market report on a beautiful community with all the information a buyer or seller needs to be convinced you are the agent to help with their buying and selling decisions. I had to check this out Debe Maxwell, CRS as Dilworth MN is a neighboring town to Moorhead MN where I grew up. I like your Dilworth better. Any buyer or seller reading this report and not fully realizing what a professional you are and how well you know the Dilworth market is really NOT paying attention. Thank you so much, Hannah Williams! Your idea to include the maps on the market reports is brilliant! Thank you for the inspiration! It really is, Sally K. & David L. Hanson! We also own property in the community and I absolutely love it there! I spend almost as much time there as I do in my own neighborhood! It is, Carol Williams! There's so much to do there and I love that it is so walkable...and walking past all of those craftsman homes with the front porches is just so special. There's no other community like it! Well, thank you so much, M.C. Dwyer! It's an easy community to sell - it really sells itself! It's one of my favorite neighborhoods in all of Charlotte, Michael Eisenberg - there's so much to love about it! It does, doesn't it, Richie Alan Naggar! It's even better to do the walking tour than just a drive-through. Thank you so much, Jeff Dowler, CRS! I know every nook & crannie of this one, for sure! On occasion I will get an alert on Dilworth and it's not in Charlotte, Bob "RealMan" Timm - I'll pay attention next time to see if it's your Dilworth in MN! Well, thank you, Liz and Bill Spear! I'm sure you've heard me talk about Dilworth for years now - it's one of my favorite communities in our entire area! Thank you, Roy Kelley - I certainly do hope so! Wow! Great information AND video about Dilworth. You're making me miss living in the south with all that gorgeous landscaping and older homes! The park is reminiscent of the Big Spring park in Huntsville, where coincidentally they used to host events - complete with the same pond!